The ‘Friends of ALNS’ intent to continue this academic year as we ended the last, providing resourced to benefit all students and staff at the school. We hope we can enlist your support in fulfilling as many as possible. Below are some of the events we have in the diary already and we look forward to seeing students, staff and parents at any that appeal to you. Following on from the success of last year’s Friends Barrel of Booze Raffle, we are hoping to repeat this event. To help us with this if you have any bottles/cans you would like to donate the barrel would love to receive them! Bottles/cans can be left at Reception (by adult only) or brought to any Parent Evening/School Event. Tickets for the raffle will be on sale late in the year – the winner takes the barrel! Friday 28th September – Year 7 Welcome to Admiral Disco. Tickets for this event (Year 7 students only) will be on sale in the mall at 7.50-8.20am every morning from Monday 10th – Wednesday 19th September. Tickets will cost £5 each. No tickets will be available to purchase on the door. 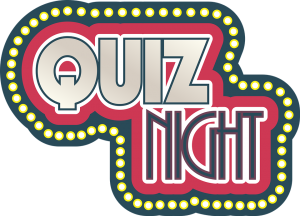 Friday 21st September – Quiz Night. We welcome team of up to 8 people. 7.30pm start costing £3 per person which can be paid on the night. Bring you own nibbles and drinks, alcohol allowed as this quiz is an adult event (no unaccompanied children). If you are interested in this event, please confirm your attendance by Wednesday 19th September. Sunday 30th September – Sunday Stroll/Scavenger Hunt (Weather permitting). Come and join us for a fun morning and leisurely stroll in Southsea. Families, friends all welcome – ideal for Dog owners! Starting in the car park behind the Clarence Funfair, you will make your way to the end of the walk answering clues along the way and collecting objects which will add points to your final score. Teams of up to 6, entry £2 per adult, £1 for children aged 11 – 16 and Under 11’s free. If you are interested in joining us for this event please register at [email protected] before Friday 21st September. Depending on the interest you will be contacted with starting times before Friday 28th September. In the event of bad weather, the event will be postponed. An evening of Clairvoyance with Jenny Docherty on Friday 9th November, Jenny has been a serving medium now for over 20 years and has given her service to support our causes. Her sense of humour and friendly atmosphere means this is an evening not to be missed. Tickets will be on sale from 1st October at £5 each.